In order to drive innovation forward in space manufacturing technology, Enterprise In Space (EIS), a non-profit program of the National Space Society (NSS), has chosen the grand-prize-winning university students in its “Print The Future” competition. 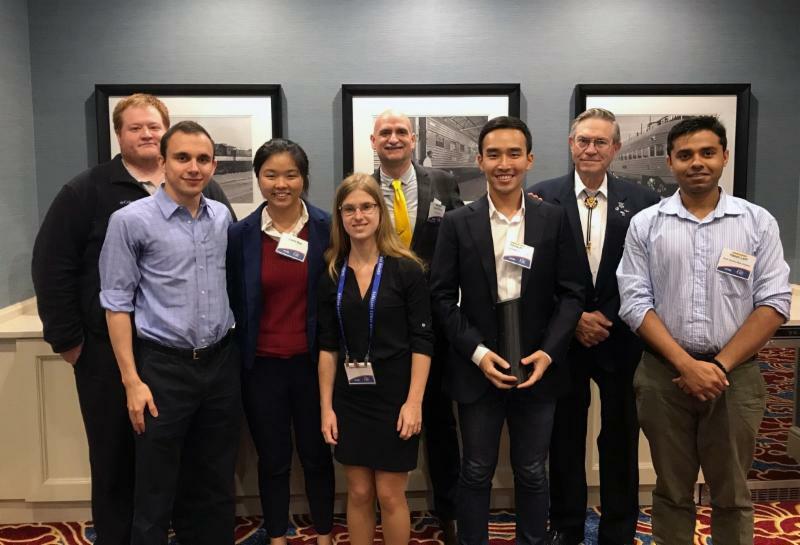 Announced at its 36th annual NSS International Space Development Conference® (ISDC®) in St. Louis, Missouri last weekend, the winner is Team ProtoFluidics’ microfluidic modules from University of Pennsylvania. 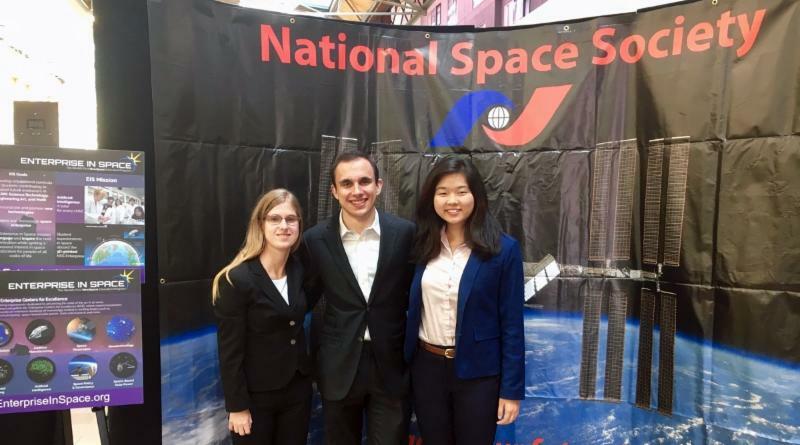 Undergraduate students Adam Zachar, Laura Gao and Jaimie Carlson designed 3D-printable modules that enable rapid prototyping of microfluidic experiments aboard the ISS. Through the “Print The Future” competition, EIS—along with Kepler Space Institute, Made In Space (MIS), Sketchfab, 3D Hubs, and Prairie Nanotechnology—offered university teams a chance to 3D print a NewSpace experiment aboard the International Space Station (ISS). University teams were invited to create designs that push the bounds of 3D printing in microgravity to serve humanity in expanding its presence among the stars. Adam Zachar, Laura Gao and Jaimie Carlson from Team Proto Fluidics, Hyung Jin Yoo from Team H2, and Hasan Latif from Team Bengal Tigers standing with Mike Snyder of Made In Space, John Quinn from EXOS Aerospace and Edward Kiker from Kepler Space Institute. In this competition, winners were chosen based on the scientific and engineering merit, commercial potential, and originality of the designs. 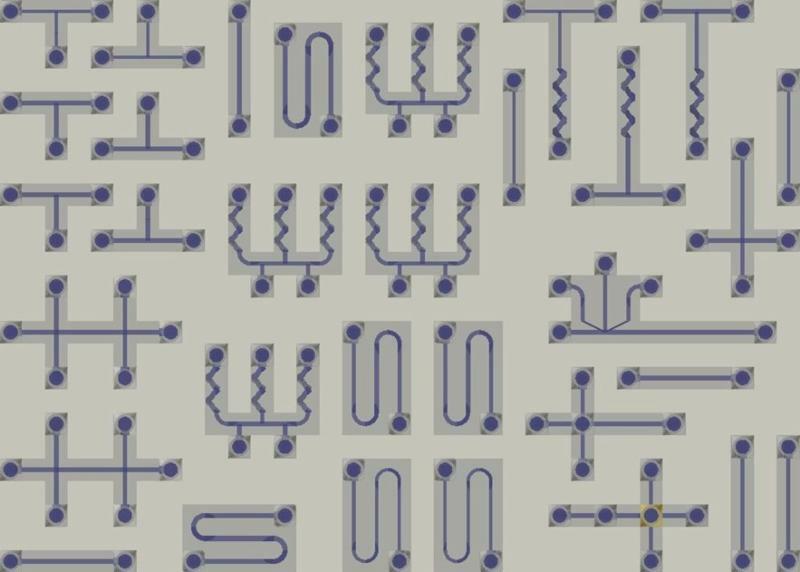 “With our 3D-printable microfluidic modules, researchers can easily design custom microfluidic circuits to conduct experiments for disease diagnosis, chemical analysis, protein crystallization, and more, capitalizing on the microgravity on station,” said Adam Zachar. “This process allows researchers to bypass the cost of fabricating and transporting conventional microfluidics to orbit,” he said. Team ProtoFluidics (L-R): Jaimie Carlson, Adam Zachar and Laura Gao. Team ProtoFluidics will work with MIS to 3D print their project on Earth as a test before printing aboard the ISS. The project will be 3D printed on the ISS before the end of the year. The project will be returned to Earth, where the winner will be able to leverage Prairie Nanotechnology’s advanced research equipment to study the results. One member of the grand prize team will also receive R.S. Kirby Memorial Scholarship, valued at $5,000, from the Kepler Space Institute to be applied towards a full certificate program. The R.S. Kirby Memorial Scholarship aims to encourage space advocates the world over. The first place runner up was Team H2’s H2 Capsule. University of Pennsylvania Masters students Hyung Jin Yoo and Haimin Yie created a capsule that early Mars Explorers can use to store objects and media to convey their stories and personalities to future generations, as a means of confronting and accepting death as a possible outcome of their mission. The second place runner up was Team Bengal Tigers’ Multi-Purpose Wrench. 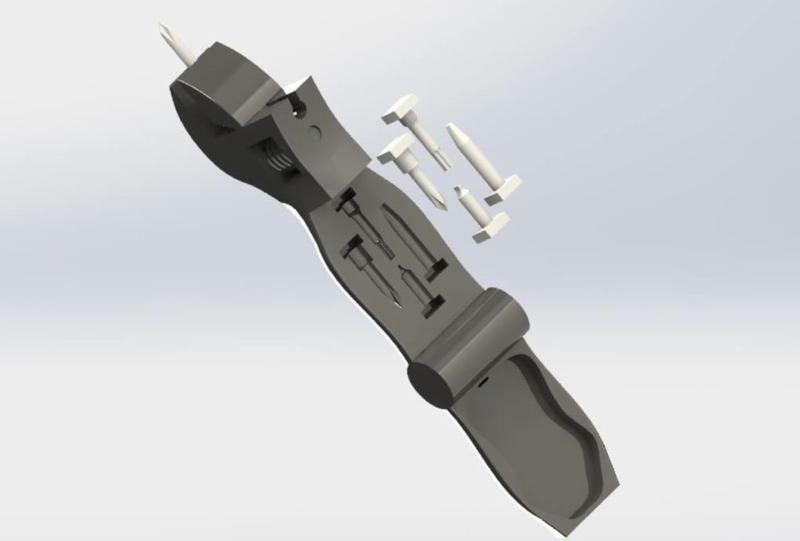 North Carolina State University PhD student Hasan Latif and Bangladesh University of Engineering & Technology Masters students Habibur Rahman, Ankhy Sultana, Shourav Ahmed and Tavila Sharmin designed a 3D printable tool that reduces the need for multiple different tools required for loosening and tightening various sizes of nuts, bolts and screws. All finalist teams presented their experiments at the ISDC ®. All finalist entries are on display on the popular 3D modeling community Sketchfab. To learn more about the competition, visit the contest page at enterpriseinspace.org/print-the-future. EIS thanks all who have participated in our competition this year. The National Space Society’s Enterprise In Space (EIS) is the world’s first NewSpace education program. EIS is dedicated to providing access to STEAM education to all through the open online EIS Academy and with the help of an artificial intelligence tutor named Ali. The program’s first Academy-wide project is the design, launch, and retrieval of a 3D-printed spacecraft carrying 100+ active and passive experiments from K-postgrad student teams from all around the world. Founded in 2010 as the world’s first space manufacturing company, Made In Space, Inc. (MIS) has become a world leader in utilizing 3D printing for aerospace applications. In 2014, a NASA/Made In Space team sent the world’s first 3D printer to the International Space Station (ISS). In partnership with CASIS, managers of the ISS National Lab, and Lowe’s Innovation Labs, the disruptive technology hub of the Lowe’s Home Improvement chain, Made In Space will be sending the first commercial 3D printer to the ISS next year. Additionally, the firm was recently awarded a NASA contract to 3D print and assemble structures in space itself. Kepler Space Institute (KSI) is dedicated to providing educational programs, research solutions, and publications to the public, industry, and governmental organizations in support of continuing Space Exploration, Commercialization, and Colonization. Through cutting edge research, exploration and development of space resources, KSI helps facilitate the expansion of human civilization from Earth into Space, with the primary goal of benefitting humans everywhere on Earth and beyond. Enter new dimensions. With a community of over half a million creators contributing over a million scenes, we are the world’s largest platform to publish, share and discover 3D content online and in VR. Our technology integrates with every major 3D creation tool and publishing platform and supports almost every 3D format directly through our site or using one of our official exporters. Using our universal 3D & VR player, your creations can be embedded on any web page and every major network including Facebook, Tumblr, LinkedIn, WordPress, Bēhance, DeviantArt and Kickstarter. With offices in NYC and Paris, Sketchfab is proud to be the official 3D publishing partner of Adobe Photoshop, Facebook, Microsoft Hololens, Intel RealSense and more. Sketchfab is a venture backed company, alumnus of the TechStars accelerator program (New York Spring 2013) and winner of several start up awards. See more cool features, or email press@sketchfab.com for press related enquiries. 3D Hubs is the world’s largest online marketplace for 3D printing services. With service providers connected in over 160 countries 3D Hubs makes it easy for product designers and engineers to find the right 3D print solution for prototyping and small production runs. By providing local access to cutting-edge 3D printing technologies 3D Hubs is accelerating a future of distributed on-demand manufacturing. Founded in 2013, 3D Hubs is headquartered in Amsterdam. For more information visit www.3dhubs.com. Prairie Nanotechnology is devoted to supporting industrial (and academic) research and development, quality control, process development, and anything requiring materials characterization. The company’s principal scientists collectively have over 100 years of experience with materials analysis and characterization and nanotechnology development. NSS is an independent nonprofit educational membership organization dedicated to the creation of a spacefaring civilization. NSS is widely acknowledged as the preeminent citizen’s voice on space, with over 50 chapters in the United States and around the world. The Society publishes Ad Astra magazine, an award-winning periodical chronicling the most important developments in space. To learn more, visit www.nss.org.